Every piece of skatewear was designed by Se_Ku founder Allison Brooker and is personally tested for feel, fit, comfort and style. 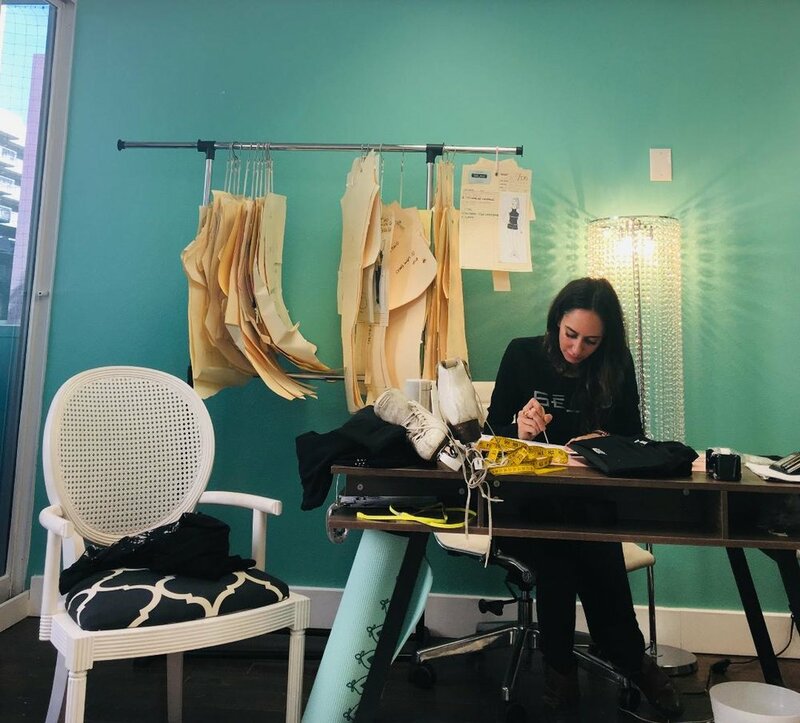 Erika Rietz, also a figure skater, purchased the company in 2018 and continues Allison’s line with commitment to beautiful, quality skatewear. Se_Ku products are designed specifically for the skater athlete body. Our garments are skate-tested by the designer, to make sure they stay tight to the body and do not distract the skater while training. Our pieces are easily layered, making them perfect for warm up and training, both on and off the ice. Our customers rave about the fit, quality and longevity of our products. We make separates and outerwear, and our sizing mirrors adult & junior retail sportswear. Please be sure to check the size chart when ordering. If you are not sure on a size, just email us and we will be glad to help you out. The list of skaters wearing Se_Ku grows daily. Skaters seen on the ice in Se_Ku include Madison Chock, Karen Chen, Mirai Nagasu, Michelle Kwan, Miki Ando, Mao Asada, Pinky Han, Veronika Khokhriakova, Aliona Savchenko, Brooke Castille, Chelsea Lee, Kiri Baga, Becky Bereswill, Ellie Kawamura, Michelle Hanabusa, and Courtney Hicks and hopefully you soon! All of our garments are now, and will always be, made with love and care in Los Angeles, California, USA. We use a supreme quality, high performance 13 ounce, 90% Polyester / 10% Lycra microfiber fabric that is warm and durable with a soft, cottony hand. The ultra matte black color, won’t fade, won’t snag. won’t pill, & lasts for years. Se_Ku Pro-Tech Wear is revolutionizing figure skating protective apparel. The superior performance of Se_Ku Pro-Tech Wear is a direct result of its exclusive use of D3O Impact Protection Technology. Se_Ku has a 10% Return Customer Discount Program [excluding Pro-Tech Wear], Offer Free USPS Priority Shipping on any order over $150.00 plus a Free Se_Ku Scarf.